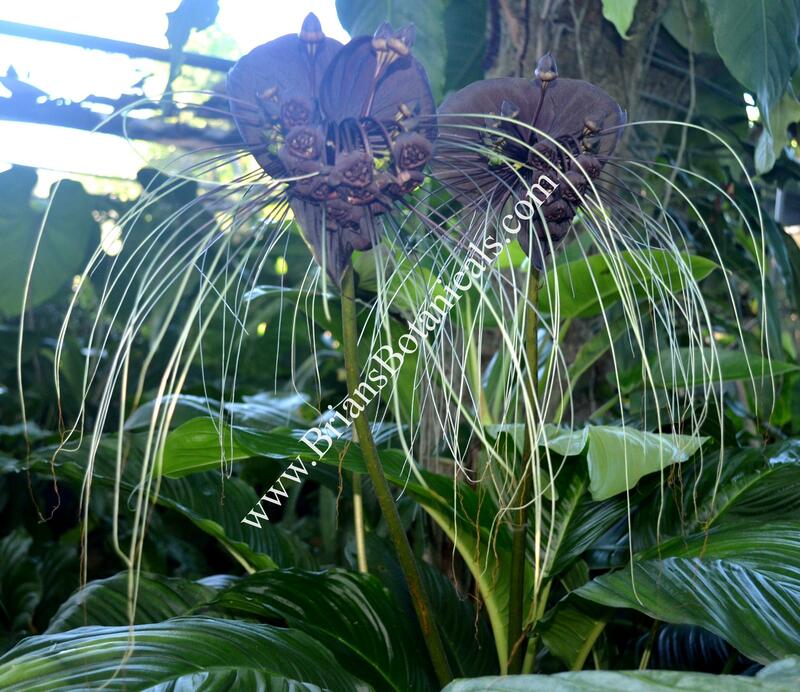 Tacca chantrieri also known as the Black Bat plant. Is a smaller grower than the white form with large green leaves and dark black flowers. Flowers can be 6 to 9 inches across and are very unusual with long whisker like strings that hang from them. One of the more unusual flower is the plant kingdom. They are still hard to find but very cool to see.? Great as a landscaped in tropical zones or as a greenhouse to house plant. Regular watering do now allow to go bone dry for long.